I take genuine pleasure in the beauty of something sweetly rustic. 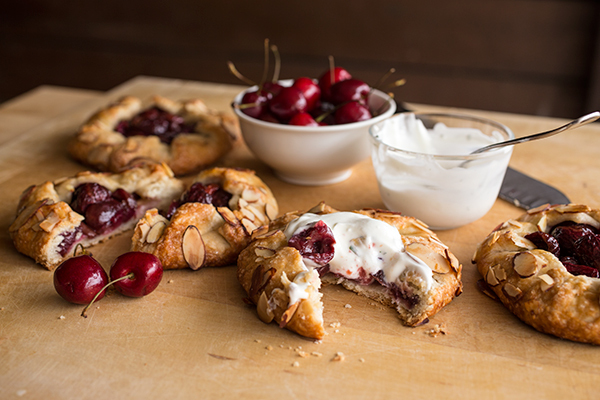 A simple dough enveloping vibrant, red, juicy and fresh summer orchard cherries — like little gems set in a gorgeous and edible ring — is unpretentiously and perfectly appealing to me. Not everything always has to be fancy or overly decorated; sometimes, it’s best to allow the natural charisma of something to radiate, and its own simple flavor to speak for itself, using its own chosen words. We hold a canvas, and God, through nature, provides the glorious shades and shapes, flavors and textures for us to use freely and with abandon, to play with like the children we are. And as the sun of the summertime provides the warming spotlight, what a joy it becomes to look, with eyes wide open, at the rustic and divine beauties that surround us to use for our sweet, culinary enjoyment. 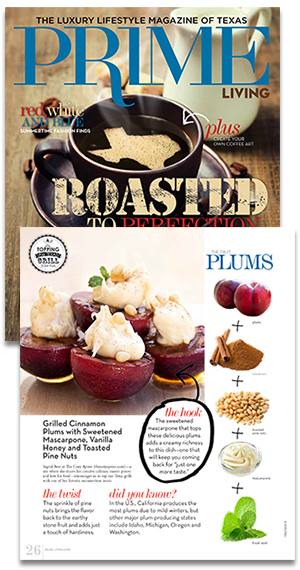 I love the idea of a “free-form” dessert. There’s something interesting about looking at a series of little hand-made galettes — some smaller than others, some slightly misshapen — and seeing the handiwork of a human being in them. 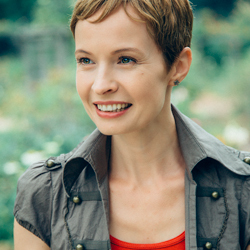 They’re a lot like us, really; we’re all perfectly imperfect, and come in all of our various shapes and sizes, personalities and temperaments. 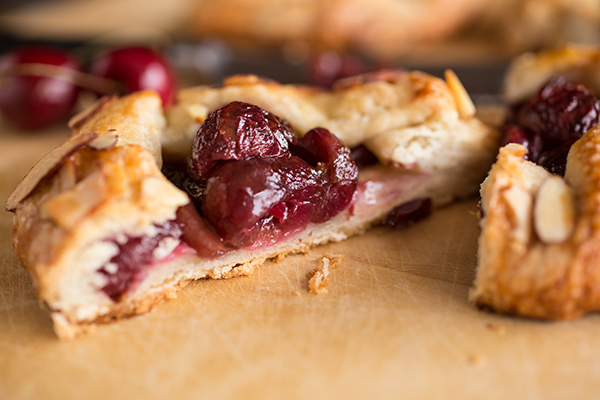 A sweetly succulent, mini cherry galette sits proudly in its own unique way, and waits patiently for a hungry admirer to come by and pluck it up in its entirety, and take bite after juicy bite, until it is no more. It longs to serve its purpose, a purpose which is to bring to taste the complexity in the simple, subsequently causing the human mouth to curl up into a satisfied smile. And simply, it doesn’t get too much better than that. 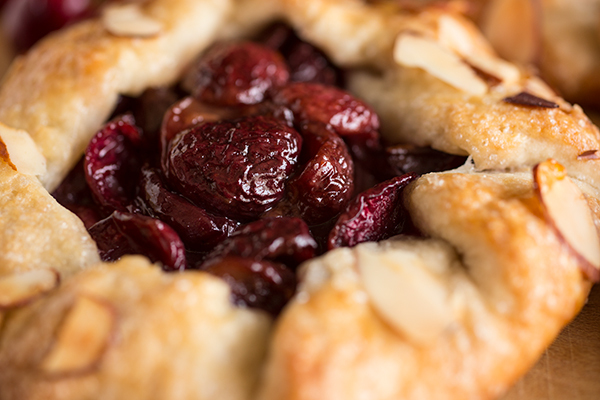 The rustic beauty of a summer dessert filled to the brim with the luscious gifts of the season sounds like the perfect sweet treat to me. 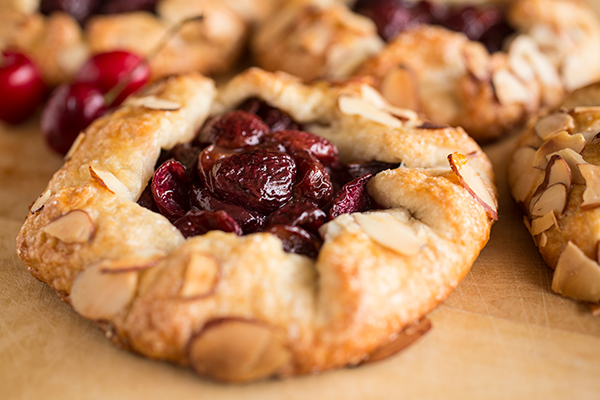 With perhaps a simple spoon-full of cold, sweet, tarragon crème fraiche dolloped on top to give a soft finish to the tender crust and juicy filling, a Mini Orchard Cherry Galette fits perfectly into the hand to be tasted and enjoyed wherever one’s heart finds contentment. And that’s the very beauty in something sweetly rustic. -Preheat the oven to 375°, and line one large baking sheet (or two smaller) with parchment paper. 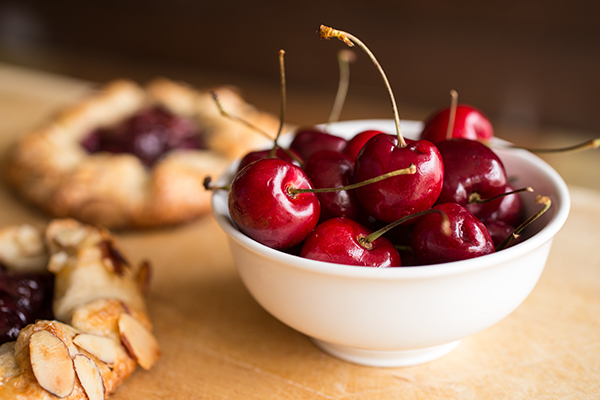 -In a large bowl, combine the pitted and sliced cherries with the sugar, flour, lemon juice and almond extract, and gently toss those together to combine them well; set aside for a moment. 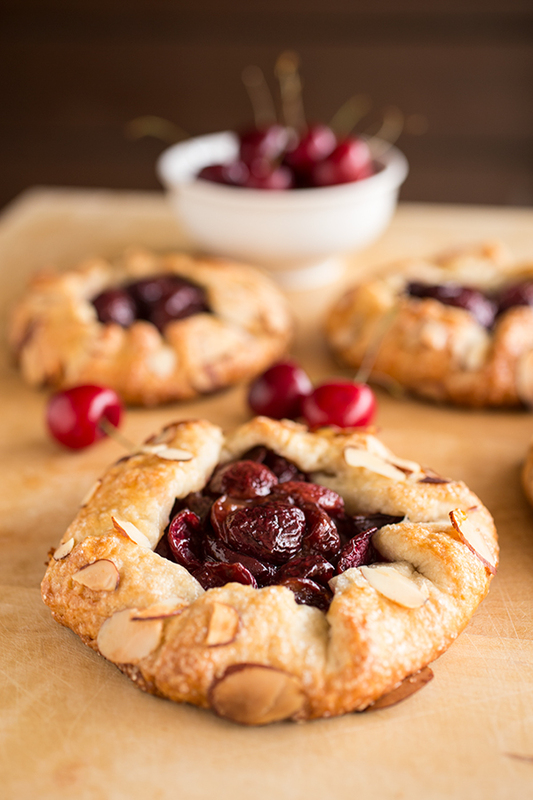 -Place one of your mini galette dough “disks” in front of you on a lightly floured work surface, and roll it out into a roughly 6” x 6” circle, a little under a ¼” thick; add about 1 ½ tablespoons of the fresh cherry filling to the center, then fold the edges of the dough inward toward the center, creating rustic “pleats” with the dough; set the completed galette onto the baking sheet, and repeat the process with the remaining galettes (you can also work in two batches if you don’t have 1 large or 2 smaller baking sheets – just keep the dough and filling cold while you bake the first batch). -Place the flour, sugar and salt into the bowl of a food processor; pulse to combine the dry ingredients. -Next, add the cold butter pieces in, and pulse the mixture until the butter begins to form small, “pea” size pieces; next, while pulsing, slowly begin adding in the ice water, just until it brings the dough together, and add the extracts and pulse a few more times to incorporate (be careful not to over-mix the dough); turn the dough out onto a lightly floured work surface and gather it up into a large ball. -Next, gently press/form the dough ball into a large, even disk; cut the disk into 8 equal portions, and gather each portion up and gently press it into a small disk; wrap each in plastic wrap, and chill in the fridge for at least an hour, or even over night; once your ready to prepare your galettes, you will roll out the disks, fill and bake. -Place all ingredients into a small bowl, and very gently fold the powdered sugar and the chopped tarragon into the crème fraiche being careful not to over-mix, as it can become a bit too “liquid-y”; cover with plastic and keep cold until ready to use. these are cute and sound delish! These are so cute! 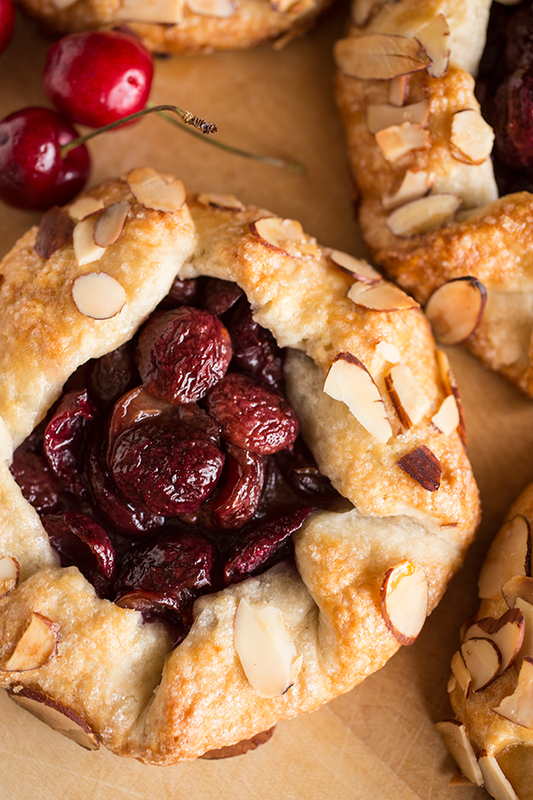 I can’t believe I’ve never thought of doing mini versions of fruit galettes, they are the perfect summer dessert.